Honda's 115HP Power Thrust engine is perfect for pontoons and other heavier mid-size boats. With the largest displacement in its horsepower category, and the long-stroke design, you can expect plenty of torque. The 115HP is based on the same engine that powers Honda's Accord automobiles. So you know you can expect long term durability and clean, quiet operation. 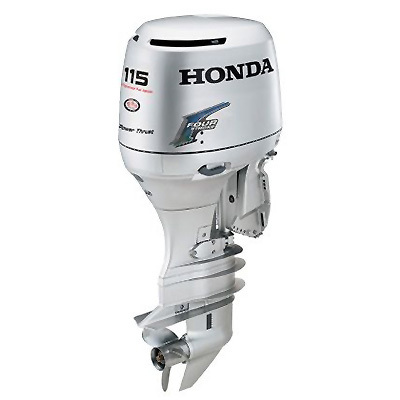 If you're looking for "a premier outboard" that'll pull its load, Honda's 115HP is your engine.